Score maximum style points in this white hooded sweatshirt that keeps you warm. 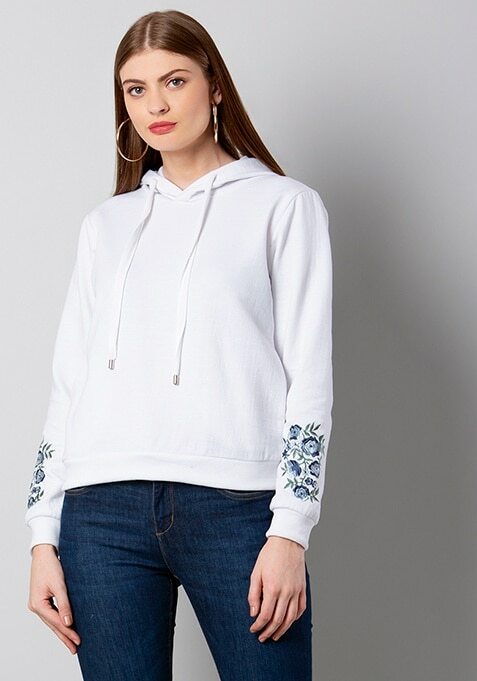 Features hooded neck and embroidery. Work It: Style this sweatshirt with skinny jeans and white sneakers to look cool.